Chakras are the centres of energy in our body that profoundly affect our well-being. Through this exquisitely designed volume, newcomers to this alternative form of spirituality can understand every aspect of chakra power. 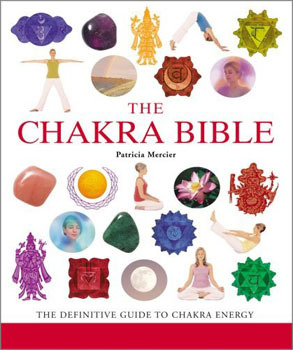 In addition to an illuminating introduction, a detailed guide covers each chakra, with their associated colours, Indian deity, healing stone, and emotional and physical actions. One by one, go through the base, sacral, solar plexus, heart, throat, brow, and crown chakras, as well as some newly discovered ones and chakras from different traditions. There's also invaluable information on connecting chakras with aura reading and healing, and yoga exercises and meditations to strengthen each chakra.